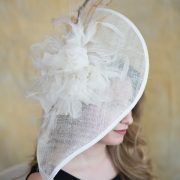 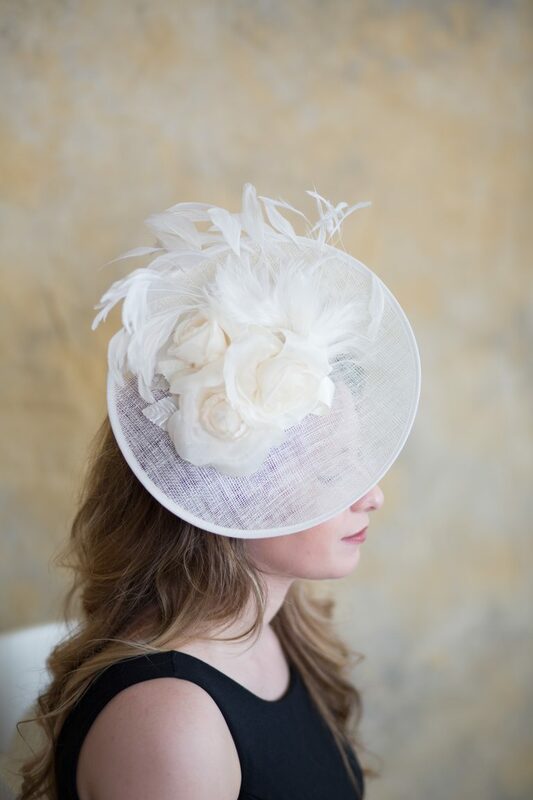 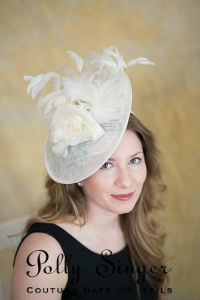 Lillibeth, an ivory saucer hat is perfect for most any event where you want to shine. 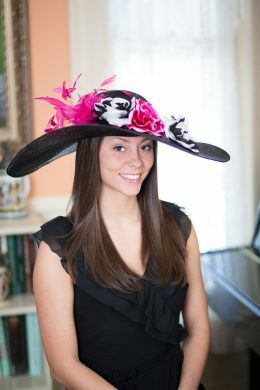 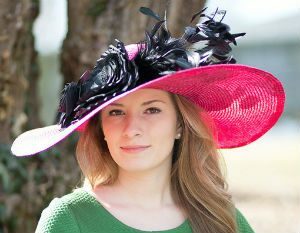 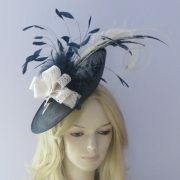 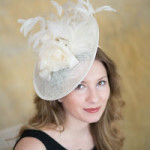 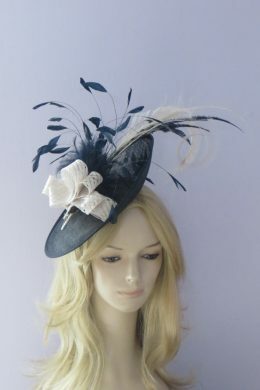 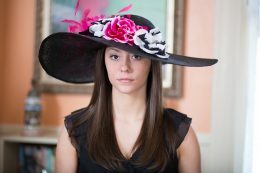 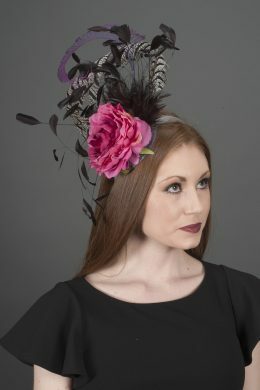 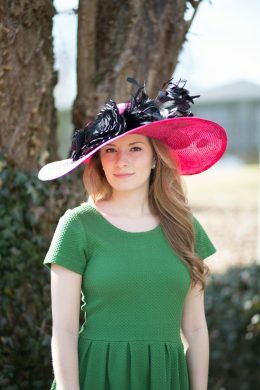 Perfect for weddings, either as a bride or guest, the races or even Ascot. 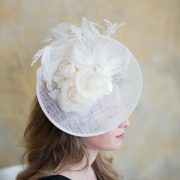 An ivory base is trimmed with creamy silk camellias and roses. 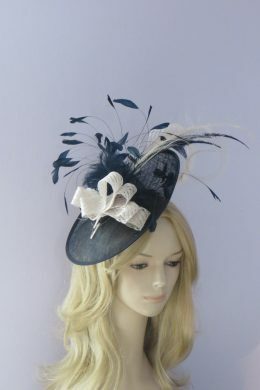 An ivory feather mount gives movement. 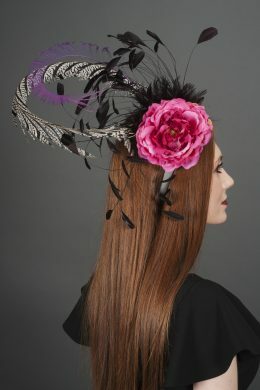 Worn on a headband.